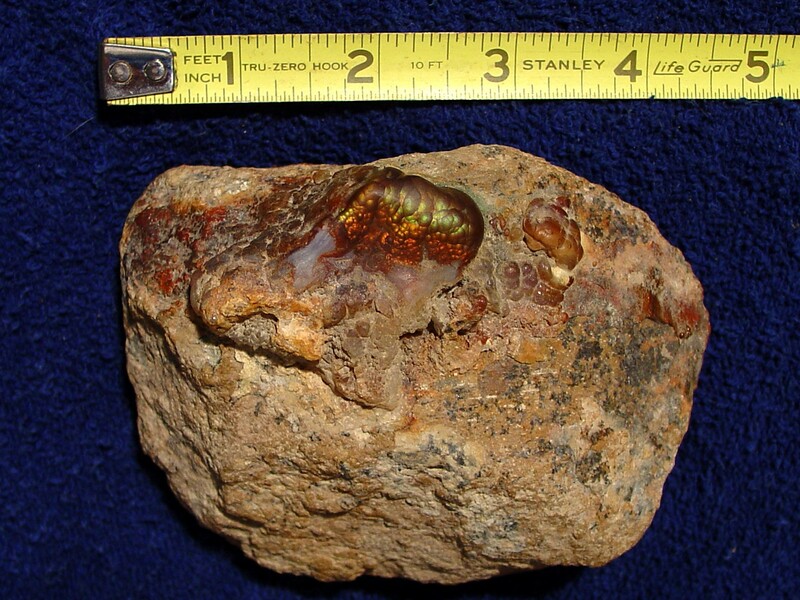 originates from Deer Creek, Arizona. 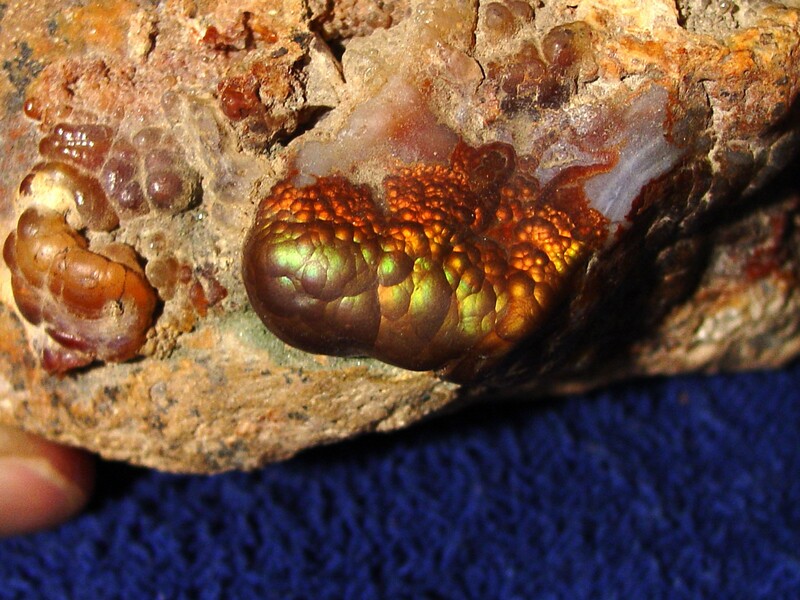 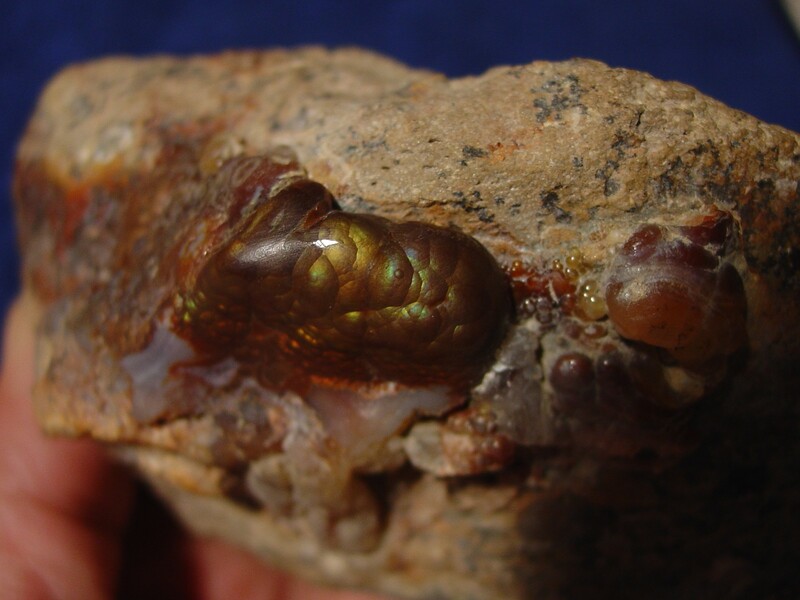 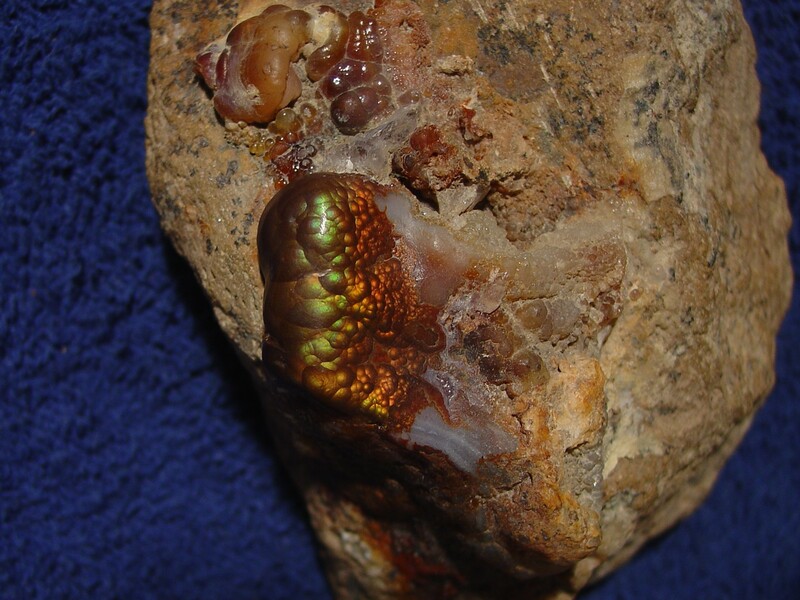 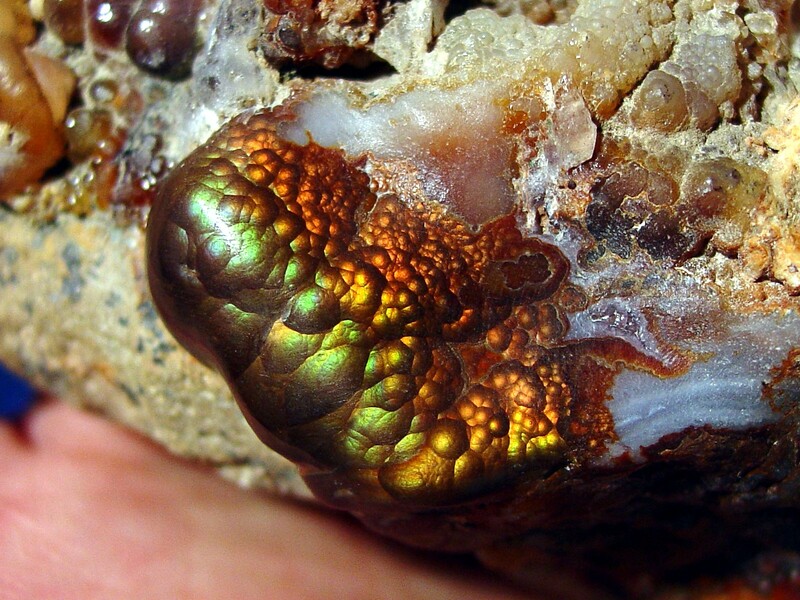 The specimen was recently purchased out of the Gietz Fire Agate Collection in Safford, Arizona. 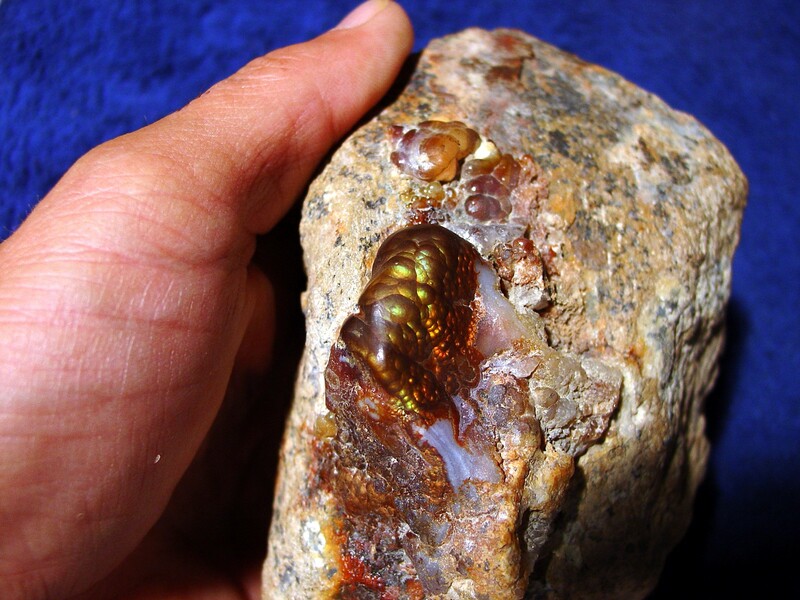 Mr. Gietz, a now retired gem dealer who was raised in Safford, was in the Arizona gemstone business for many years. 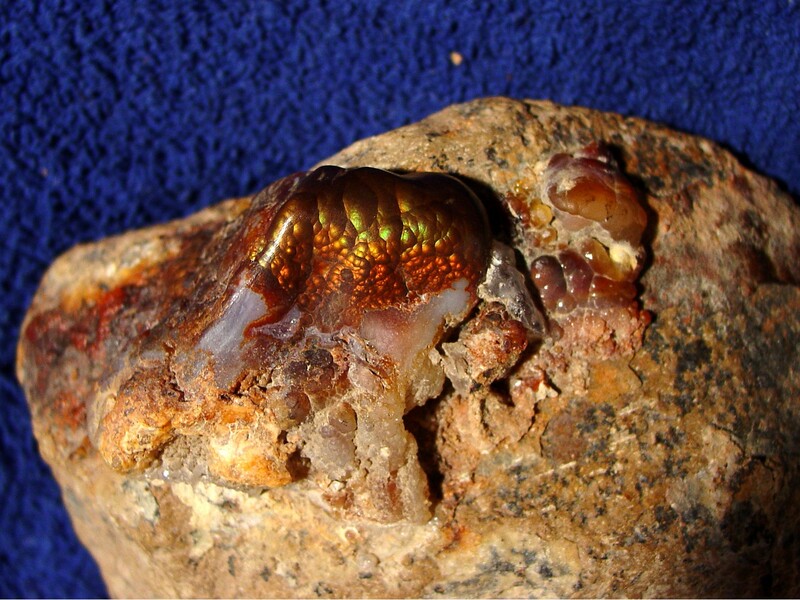 The gemstone specimen measures approx. 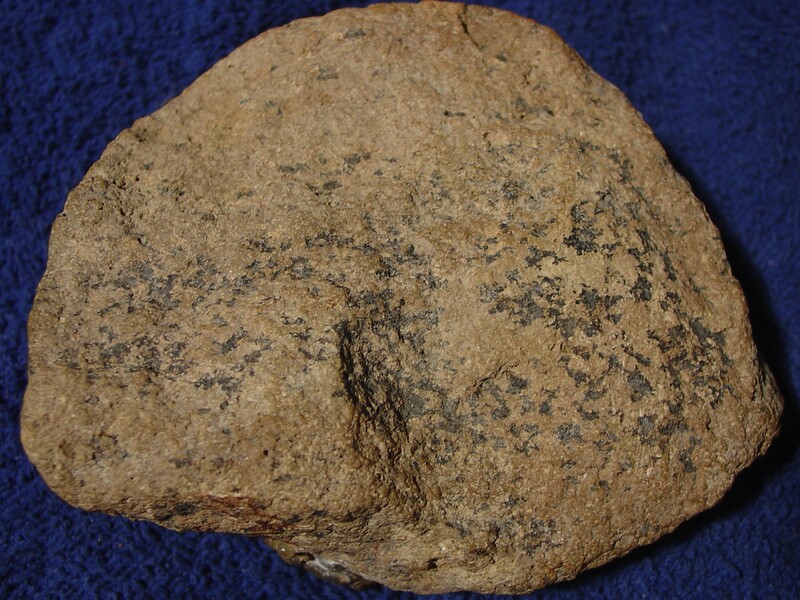 4-1/2 x 3-1/2 x 1-1/2 inches and weighs over a pound (16.8 ounces). 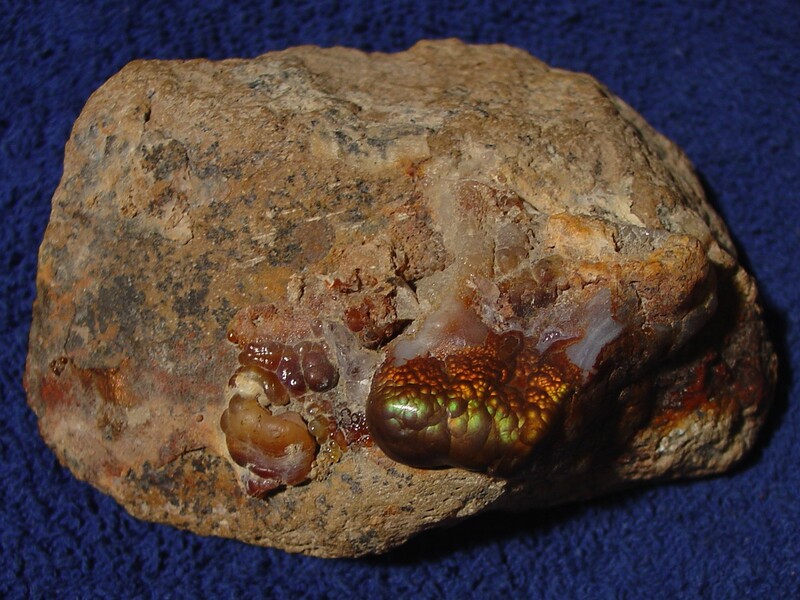 The colorful fire agate gemstone on the surface of the basalt host rock has been nicely polished and displays multiple bright fire colors. 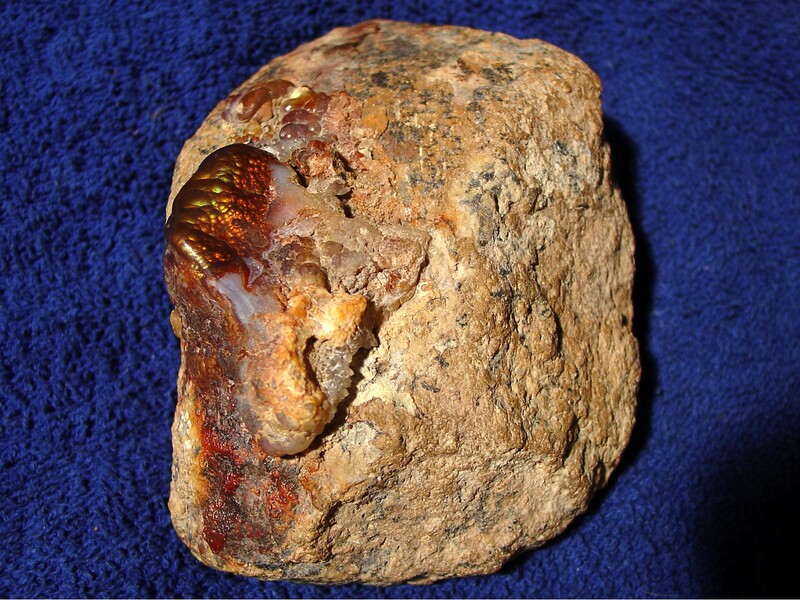 Pictures were taken indoors under lights while the specimen was dry. 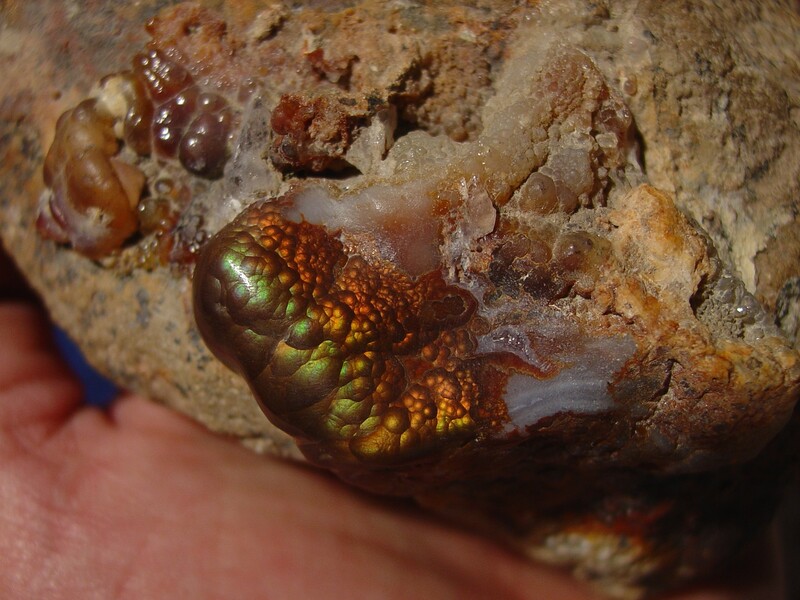 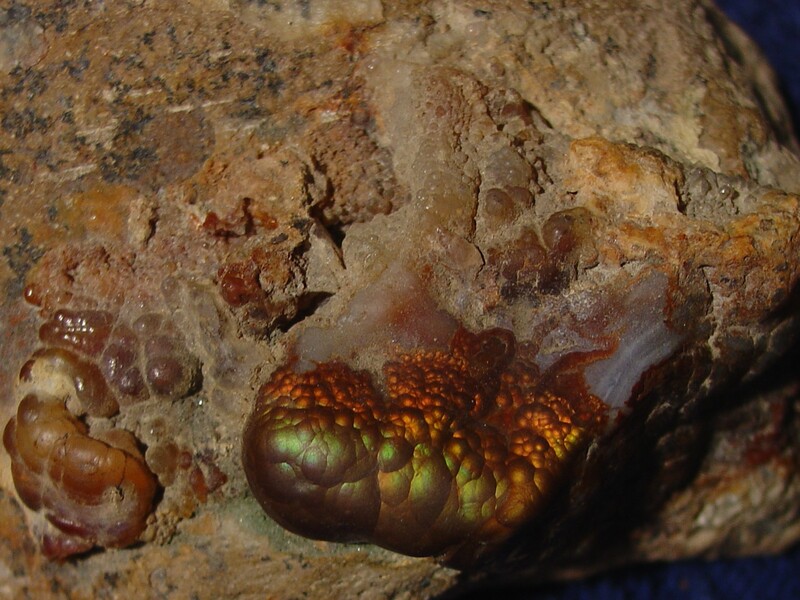 Deer Creek, located in southeast Arizona by Safford, is known for some of the best Fire Agate gemstones in the world, often displaying bright green, purple and blue color variations.